December 23, 2015 – Mister Journalism: "Reading, Sharing, Discussing, Learning"
While three Michigan school districts are still run by emergency managers, there are no remaining state appointees running city governments after Lincoln Park officially escaped financial emergency Tuesday. That’s the first time that’s happened in 15 years, according to the governor’s office. Two years after the City of Detroit went through a highly publicized bankruptcy, Michigan’s governor is proposing a $715 million bailout of the troubled Detroit Public Schools (DPS). Gov. Rick Snyder’s (R) plan would have Michigan taxpayers pay $515 million to erase the district’s short-term debt and use $200 million to create a new school district for the city. The plan would require approval by the state’s legislature. No lawmaker had submitted a bill as of early December 2015. Gary Naeyaert, executive director of the Great Lakes Education Project, a group working for education reform in Michigan, opposes a bailout of DPS. He says it would rescue those who created the bad budgets. The AARP Daily News Alert will feature answers to a health care law “question of the day” throughout the month of December. Be sure to tune in throughout the month for more answers to frequently asked questions about the health care law. Review this and other frequently asked questions about how the Affordable Care Act (Obamacare) affects you and your family. 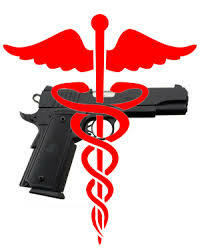 The 11th Circuit Creates A Fiction To Justify Gagging Florida Doctors Who Talk About Guns. Nobody in the GVP or medical communities (except Rand Paul) is happy with the decision by the 11th Circuit to continue upholding the Docs-Glock statute enacted in the Gunshine State. But there was a comment in the latest decision which may, in the long run, make the argument in support of the law null and void. But before I explain why I think there may be a silver lining, I should spend a few words discussing where the case stands right now. it’s an armed citizenry that protects us from violence and crime. Read the rest of mikethegunguy’s blog post here: The 11th Circuit Creates A Fiction To Justify Gagging Florida Doctors Who Talk About Guns. Fired for having a heart! What??!! We say “Higher the Hero” – Dalene Bowden is Busting Pencils!!! The Michigan Republican Party is standing behind a party official who shared an offensive post about Muslims on several social media platforms. Wayne Bradley, the GOP’s state director of African-American Engagement, said he apologizes if he offended anybody. “It wasn’t until the Michigan Democratic Party made it an issue that I was aware it had offended anyone,” said Bradley.